Not much words for this one, I hope you like this preview. music that is playing threw my speakers. R.I.P. to a legend, scroll down and let your ears be introduce to his music. The next song that has recently been played threw my speakers is Kid Cudi. Click here to listen to Switchin’ Lanes. 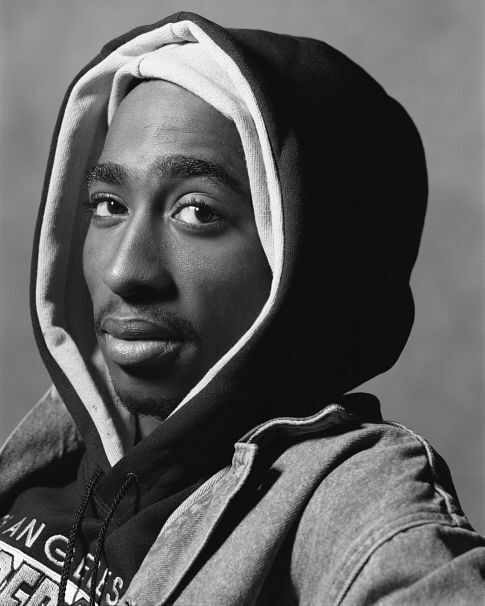 AHHH.. last but defiantly not the least, Tupac. Doesn’t matter how old his music is it still can be played today..what a classic human. Click here to listen to Dear Mama. Lately I have made it one of my top priorites that i study great people, and see what it took to get to that certain point in life that we’re all trying to reach. These good people you see below these impactful words are just a few that i look up to. of course i dont know their personal lives, and i rather not because everyone needs privacy but i do know what they stood for though. Leadership, dedication, and hardwork. they all started from the bottom, and did what it took to climb that ladder of success.. but it wasnt easy; some grew up poor, some stayed in jail, and some didnt have to expereince these set backs at all but at the end of the day they all started from somewhere and later ended up on top but in different ways. Martin Luther King: I learned alot from this good human being below. But, the simple thing that stands out the most to me is, how he lead his people..the people, the dedication he had, and how he inspired others. Even though he had a mission to change the world and make it a better place by using non-violence, others tried to make him use a violent force. But, MLK was determined and dedicated to the use of non-violence. At a young age, King excelled in school. He easily skipped ninth and twelfth grade. When he was fifteen, he received a unique opportunity; under a special program created for high school students, King was admitted to Morehouse College. He began college during the fall of 1944. While he had excelled in high school, King found that college was more challenging. He was only able to read at an eight grade level. Despite this hindrance, King still managed to finish college in 1948 with a bachelor degree in sociology. King decided that as opposed to his previous interest in pursuing the law or medicine, he would pursue a career in the ministry. In the fall of 1948, he began attending Crozer Theological Seminary in Chester, Pennsylvania. It was at Crozer that he became serious about his studies. He studied the works of theologians such as Reinhold Niebuhr. Among his studies, he also took a particular interest in Gandhi’s nonviolent philosophy. However, King was heavily influenced by Niebuhr’s idea of man’s sinfulness. He believed that this sinfulness prevented nonviolent resistance from being effective. King, therefore, would never come to accept nonviolent resistance until it was put into action years later during the Montgomery bus boycott. In 1954, King became the pastor of Dexter Avenue Baptist Church in Montgomery, Alabama. Shortly thereafter, on December 1, 1955, Rosa Parks was arrested after she refused to give up her seat to a white rider on a Montgomery city bus. Based on Parks decision to contest the arrest, the Montgomery Improvement Association was founded in order organize the boycott of city buses. The members of the association elected King as president. Nonviolent resistance slowly began to emerge as the defining force in the protest. During the boycott, King received numerous threats and his home was bombed. King and his family were not harmed, but this led to his concrete belief in the effectiveness of nonviolent resistance. After more than a year, the boycott ended when the United States Supreme Court affirmed the District Court order to desegregate the city buses. 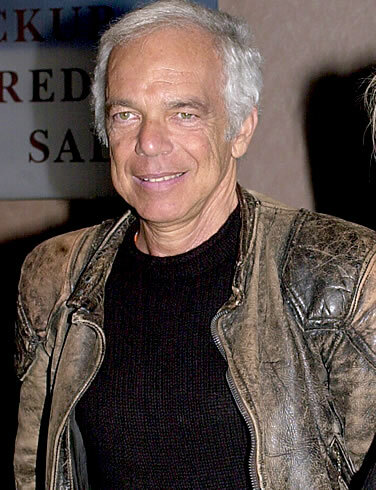 Fashion Designer Ralph Lauren: Everyone knows this man below, you might be wearing his garments as you are reading this. Furthermore, I have learned a good quality of knowledge from this top fashion designer, well in my eyes he is. what did you learn from him?.. well, that’s easy. first, i learned that you can have simple design in fashion instead of things looking like a costume(no disrespect to anyone), when i say simple designs i mean, clothes that everyday people can wear. Also, those simple designs they’re not just simple; they have a certain feel to them, they show a certain color scheme, and last its not just put together any way, its a certain layout that you can see. Second, i learned that packaging and presentation are the utmost importance. Lauren’s fashion sense was apparent at an early age when he would purchase expensive suits with the money he earned working at his after-school job. Although he knew he could find his clothes at a less expensive price, he made it a point to look stylish in his expensive threads — and he has succeeded at looking cool in his attire since the age of 12. Student by night, Lauren would work by day at two glove companies as a salesman. He then worked for a tie manufacturer named A. Rivetz & Co., which ultimately led to the fashion empire he leads today. While working at A. Rivetz & Co., Lauren began designing wide ties, which spawned his first entrepreneurial career. With his tie designs and a $50,000 loan, Lauren founded the company Polo Fashions in 1968. Along with his older brother, he chose the name Polo because of the power, style and intrigue that the brand has always been associated with. While Polo was considered the “power suit” of the early 80’s, Armani had brought the Italian power suit back in style later on in the decade, which pushed aside Polo’s preppy look. Lauren had fought back with his sophisticated line of men’s shirts and suits, made of fine fabrics. He successfully catered to the office worker who wanted to look stylish, while looking powerful in the office. Next came Lauren’s line of women’s clothing, followed by his home collection line consisting of sheets, towels and furniture in the early 80’s. It is Lauren’s innovativeness, among many other traits of the model businessman, that has made him the founder, designer and chairman of a $900 million company. Not only was he the first fashion designer to have his own store, but he was the first to sell the whole lifestyle image that consumers flock to worldwide. Lauren sells much more than clothes and home furnishings; he sells a lifestyle image of sophistication, class and taste. Russell Simmons: My learning experience, Where do i start from? My whole learning experience started from his book, “Do You! 12 Laws To Access The Power In You To Achieve Happiness And Success.” I learned that in order to be successful; you have to be yourself, you have to be in-tune with your inner-self, which is GOD, AND ALWAYS HAVE A CLEAR VISION. Powerful and inspired, DO YOU! is a rare blend of business acumen, fierce spiritual faith and priceless advice. Since rising out of the New York City streets over 25 years ago, Russell Simmons has helped create such ground breaking ventures as Def Jam Records, Phat Farm and Def Comedy Jam, in the process becoming known the world over as “The CEO of Hip Hop.” Russell might have helped introduce hip-hop to the world, but he credits his success to his belief in a strong set of principles-or laws–which he shares for the first time in this book. In 12 straight forward steps, Russell reveals a path towards success that can be followed not only by those looking to duplicate his professional success, but anyone struggling to realize their dreams. Indeed, those solely looking for advice on how to build up their bank accounts at the expense of personal integrity should probably look elsewhere. That’s because these laws stem from the belief that all success, be it professional or personal, comes from a connection with your higher self. Using examples from his own experiences and observations, Russell demonstrates how tapping into that connection will allow you to get your mind right, find the motivation to start instead of stall, surround yourself with the right people, appreciate the power of hard work and understand the power of karma. But most importantly, this book will demonstrate how it’s impossible to receive any sort of lasting success from the world without giving something of lasting value to the world first. That’s a practice that is reflected in Russell’s own work as a mentor and philanthropist and one that he promotes as being fundamental to empowerment and success on every level. Blending business insight, universal spiritual truths and an inspired sense of purpose DO YOU! crosses the lines of age, race and background with wisdom that will lift you up and motivate you to pursue your vision. The message of “Do You!” is unabashedly spiritual, which is both its strength and its weakness as a how-to manual for those who aspire to upward economic and social mobility. Mr. Simmons, 49, says he is a strict vegetarian and an avid practitioner of yoga who believes that material rewards come from living in accordance with an ecumenical notion of “God’s law” common to Christianity, Judaism, Islam and Buddhism. I wish I had a scanned photo of my mother so I could put below this title. it’s monday you should laugh! Now, to start the first post I present to you, Richard Pryor. *Note to self, actually post “It’s Monday you should laugh” on a Monday! the evolution of bond, james bond! Now that almost four decades has past away, the James bond films are still present in 2008. 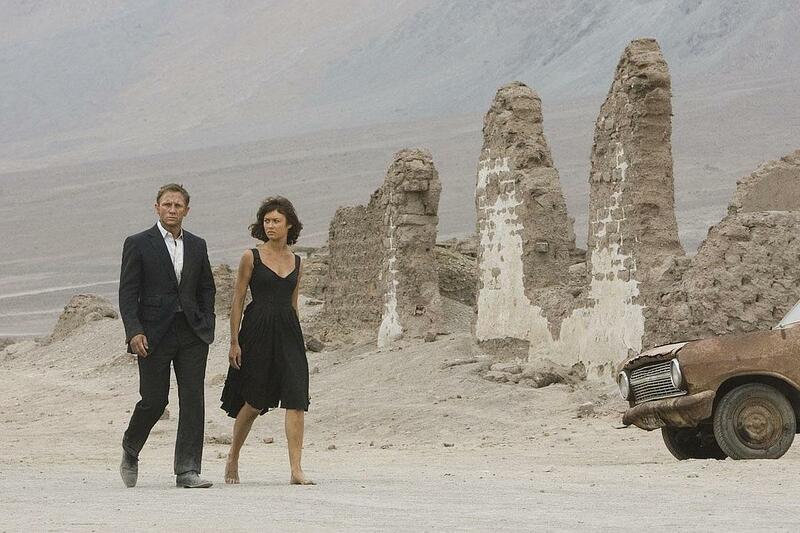 But, a new character plays the “Agent 007” role, Daniel Craig in Quantum of Solace(2008). Even though this movie is a newer version it still has the same ole’ James Bond feel, if you will. The reason why I say this is because, this movie consists of; a mission, a smooth man in a suit, the woman that betrays him in the end, and the fast car.. just in a newer form. In the Quantum of Solace, Bond’s mission is Fueled by the betrayal of Vesper, the woman he loved, Bond’s determination to track down the mastermind behind White’s sinister organisation leads to Haiti, where he finds an unlikely ally in Camille, a beautiful but feisty stranger. The trail quickly leads to Dominic Greene but with the British Government and the CIA working against him, Bond must kill or be killed on his mission to uncover the truth and destroy ‘Quantum’. Bond and “M” sniff a shadowy international network of power and corruption reaping billions. As Bond pursues the agents of an assassination attempt on “M,” all roads lead to Dominic Greene, a world-renowned developer of green technology. Greene, a nasty piece of work, is intent on securing a barren area of Bolivia in exchange for assisting a strongman stage a coup there. The CIA looks the other way, and only Bond, with help from a retired spy and from a mysterious beauty, stands in Greene’s way. “M” wonders if she can trust Bond, or if vengeance possesses him. Can’t wait for the next film.. This preview of this certain design will be embedded on the left pocket of a bright color Tee for the spring collection is suppose to be this way! But, back to the reason why I’m writing this, after attending a Classical concert for my music class, I decided to head to the art store to pick up a few drawing utensils. Who knew that the marker that I bought would lead to this drawing? The theme of his certain T-shirt has sort of a boat feel to it. The message that is being sent threw this T-shirt is, Wealth. This is the final draft.. last nite this picture was replaced with a crappy preview, but I redid the drawing so here’s the final.